Note: The video accompanying this song is a "mini-film". Unfortunately, this means there is a full minute pre-song and full minute post-song. I have set the following embedded video to start at 1 minute 5 seconds when the song actually starts. If you want, click on the beginning to see the song's set-up. The song ends at 4:11. - I like the song, but don't care for the mini-film. Born in Roxbury, Massachusetts... Shortly after graduating high school, Hemmens moved to Louisiana, and enrolled in the Jazz Studies Program at the University of New Orleans. It was at this time that he really began to develop his skills as a multi instrumentalist/vocalist. He studied with Jazz legends Terrance Blanchard and Harold Battiste during the day and performed at clubs on Bourbon Street through the night. After graduating from UNO, Jason moved to Los Angeles, California where he currently resides. He is making a name for himself as an in-demand performer and studio musician. 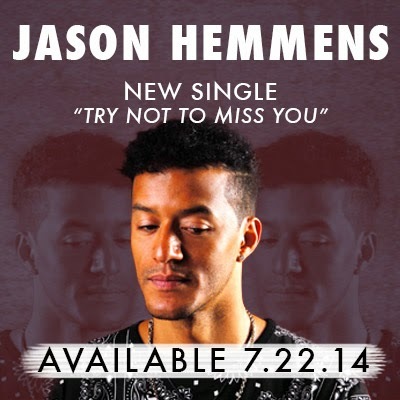 Hemmens has performed with Stevie Wonder, Tevin Campbell, and members of Guns N’ Roses and Poison, just to name a few. Jason is a true multi-instrumentalist, fluent on Saxophone, Harmonica, Piano, and Bass as well as being an accomplished Vocalist. In April, 2009, Jason began producing his debut album “Welcome to Reality,” for release on his indie label, Fan2C Records, with executive producer Sassy Outwater. The project was recorded at Studio City Sound, with Grammy-award-winning engineer Tom Weir, and features some of the best studio musicians in Los Angeles, including Keyboardist Herman Jackson (Stevie Wonder, American Idol); Guitarist Tim Pierce (Michael Jackson, Santana Madonna); and drummer Ronald Bruner Jr. (Stanley Clarke, Larry Carlton, Marcus Miller). The CD consists of twelve songs, eight of which are Self-Penned. The album is a mix of pop, rock, and jazz. It show-cases Jason on alto, tenor and soprano sax, piano, keyboards, vocals and harmonica.